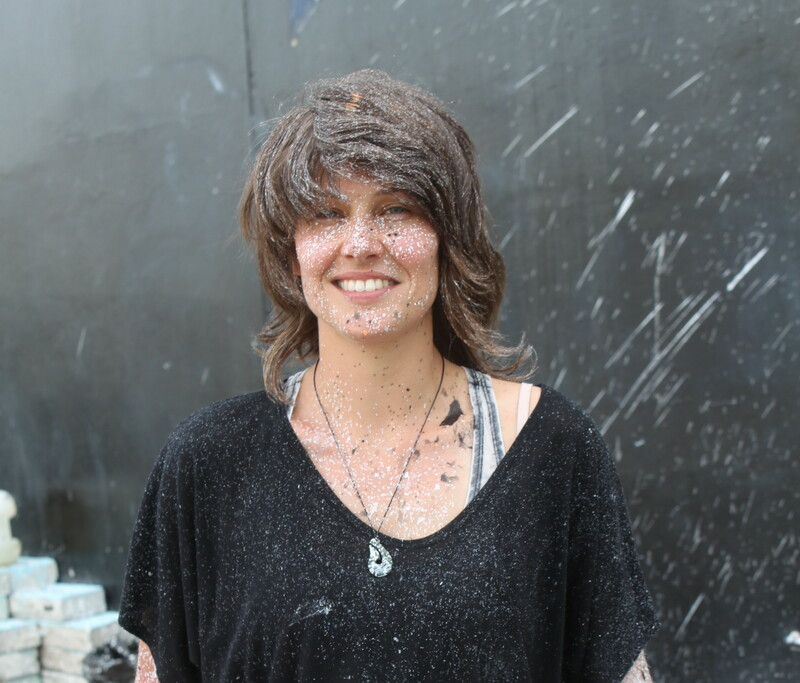 Wellington – Queenstown artist Tess Sheerin has almost completed the final leg of her five-city giant mural of New Zealand to highlight marine pollution. Her New Zealand’s Worth Loving pollution awareness mural tour ends in Wellington with her giant mural, the Doubtful Dolphin on Cumberland House, Willis St, Te Aro. Sheerin will also be carrying out a clean-up of the beach foreshore on Oriental Bay on September 30. “This tour has been so effective in raising marine environmental pollution which is threatening our iconic fish and marine life,” Sheerin says. Sheerin’s giant mural tour started in late 2015 to highlight marine and water pollution issues. She has created large-scale exterior murals in Queenstown, Dunedin, Christchurch and Auckland before starting her big work in Wellington this month. Sheerin has painted a mural of a rainbow trout in Queenstown, a crested penguin in Dunedin, a fur seal in Christchurch, a crayfish in Auckland and now a bottlenose dolphin in Wellington. Sheerin says cities need large murals to brighten and tidy up some areas and her New Zealand pollution awareness project will make cities more connected with their communities. “Legal public street art murals all over the world are being commissioned by local business owners, home owners and even city councils. Public art has the power to change the landscape of their communities,” Sheerin says. “By commissioning and supporting an exterior wall of a building to become a canvas helps improve the look of the building and the surrounding area. It discourages tagging and becomes a destination for the community while contributing to a rise in property values. Her works have featured in many exhibitions in the United Kingdom, Christchurch and Queenstown. People who want to support the cause can visit Sheerin’s website.